If you have read some of the articles in the national media of late, you would think Duke Basketball was in trouble. In a Yahoo report released yesterday, there was tale of a ledger which said an agent had dinner with the Carters in 2016. "I don't really know a lot about what happened. It really wasn't that much of a distraction because I know I haven't done anything wrong nor had my family," said Wendell Carter Jr. after his teams 70-54 win over Syracuse. About that time, Trevon Duval yelled, "Yeah, man, he's good, right?" His teammate was looking to save Carter from what had been non stop questions on the Yahoo report and not his stellar game. If Wendell Carter was bothered in any way by the minor accusation his numbers did not show it. In fact, he had the best stat line of any Duke player with 16 points, 10 rebounds, 4 assists, 4 steals and 2 blocked shots. He was also 6-6 from the free throw stripe. "I just went out and played the game," said Carter. He continued, I am just a player who wants to win. I don't care if I score two points a game." Carter also addressed the return of Marvin Bagley and that he thought the two would only get better as they played together. "it was great to have him back, he is a great player on both ends." Duke Coach Mike Krzyzewski cleared the matter with Carter up even more in his post game presser. Krzyzewski said he was out walking his dog "Blue," when he received a call from Kylia Carter, who is Wendell's mom. "Kylia called me at home when I was walking Blue. And she said did you see the Yahoo report. I said, Kylia, I am walking Blue and I haven't seen the Yahoo report. And she was nervous about and I said tell me about it. And she said, Coach this is what happened. A couple of years ago through a friend we met this guy and we were suppose to get something to eat. As soon as Wendell's father sat down, he did not like the guy and he left. She said, you know, I am a good southern girl from Mississippi, so I just stayed there a little longer. We did not have anything to eat and we left and never had anything to do with them," said Krzyzewski. The Duke coach then said, "Please don't be nervous. We met at 9:00 with our compliance and at 11:00 Kevin White (Duke Athletic Director) arranged for compliance to meet just with the Carters. Wendell has never... he didn't know anything about it. So, they went through with preparation just like you would do with the NCAA and they let them know about that. Our team here at Duke did a great job providing the help a player and parent would need. And I applaud the NCAA for working so swiftly. It is too bad every item mentioned (in the report) had the same magnitude. It was a little bit of a rush to judgement, but that is the world we live in today." Krzyzewski said he felt comfortable in using Carter in the win over Syracuse in that there were no violations committed. "Ledgers are ledgers. It is not the Ten Commandments. I think everybody should be careful on rushing to judgement with something like that. It was an alleged ledger entry," said Krzyzewski. "We don't feel like we were taking any chances with that particular thing," added Krzyzewskl. Welcome to Blue Devil Nation's annual Duke Basketball preview. You will find a recap on last seasons team, this years players and coaches and what to expect this coming season. With practice starting today, it is time to take a deep look at Duke hoops. If you like this article, please link for others to read. The highlight for Duke last season was an amazing 4 day championship run in the ACC Tournament. They defeated eventual national champion UNC alone the way and held a 2-1 over them during the season. A season ago Duke Basketball was besieged by injuries and the team would in time fall short of lofty expectations. 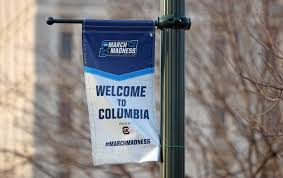 There were no games played when Duke had a completely healthy team and that led to an early exit in a game against South Carolina in the NCAA tournament. Duke had players injured before the ball was even tipped in Jayson Tatum, Marques Bolden and Harry Giles Jr. was recovering from his second major surgery. Later in the season, Grayson Allen injured his ankle and he was never the same player after that happened. Even Frank Jackson played with injuries and Amile Jefferson who was one of the teams steadiest players went out in January with a foot injury. What Duke did get right a season ago was get it together in time to win the ACC Tournament. The team was amazing when winning four consecutive games in Brooklyn. Three players would later go in the first round of the NBA Draft, including the team's top player in Luke Kennard. Duke experienced an unexpected departure when Frank Jackson elected to leave. Jackson would have been a key cog for this seasons team, but he felt his decision was the right thing to do. Jackson went in the second round of the draft but signed a guaranteed contract. If those were not enough players to lose, add Amile Jefferson and Matt Jones to the list. Jones was a steady defender and Jefferson was a program staple. Jefferson is currently expected to compete for a roster spot with the Minnesota Timberwolves where he would play alongside former Duke standout Tyus Jones. The Blue Devils also lost Chase Jeter, who transferred to Arizona. On paper, Duke lost six players who played significant minutes and return a single starter. In a season where everybody anointed Duke the pre season pick as the national champion - everything went wrong at times. Duke was not only hurt by injuries, but not having a true point guard came into play was well. 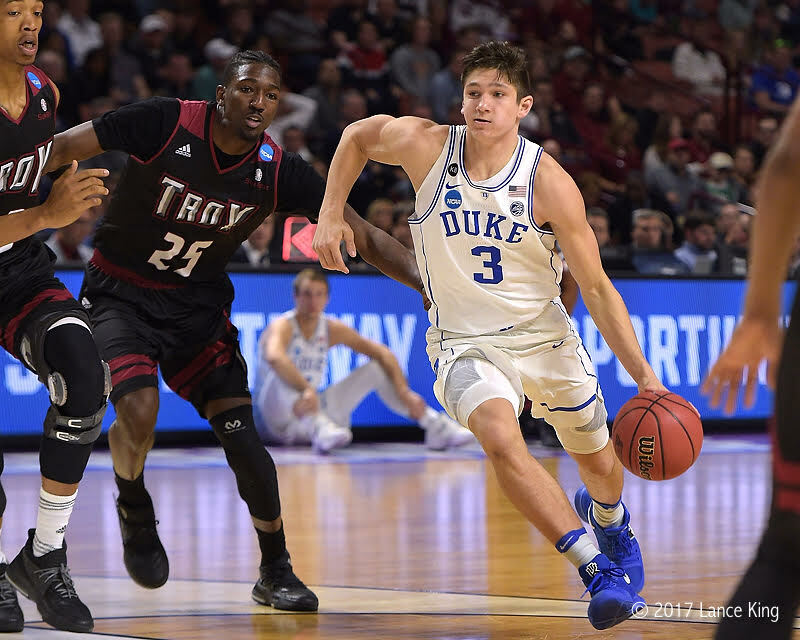 Jackson was never able to fill the role as some expected and Grayson Allen played out of position and weighed down my the mental aspects of the position. There is also the elephant in the room in Grayson Allen and his conduct. In short, the young man lost his composure and was the villan of college basketball. It got a bit ridiculous at times when ESPN had some announcers cross the line. But they were not the only ones. As great as the ACC Tournament title run was for Duke, it became overshadowed by the NCAA loss to South Carolina. In a season where everything went wrong for Duke, HB-2 would send the higher seeded Blue Devils to play South Carolina in their backyard. It was the final blow for the team which did their best to run from the black cloud of bad luck that enveloped the team with lofty expectations all season long. It didn't take Duke and Mike Krzyzewski long to reload. Recruiting started slowly as Alex O'Connell was the first player to commit to the Blue Devils. But in time the flood gate would open and the talent would come once again. Duke signed the top recruiting class in the nation. Now they hope to blend those young men together with three other returning players expected to play key roles in Grayson Allen Marques Bolden and Javin DeLaurier. Duke also returns Antonio Vrankovic, Jack White, Justin Robinson and Brennan Bresser. Grayson Allen is an All American candidate. Grayson Allen (Sr. 6-5, 205 lbs SG, Jacksonville, FL) - Few will ever forget how Grayson Allen burst onto the scene in the 2015 National Championship game. 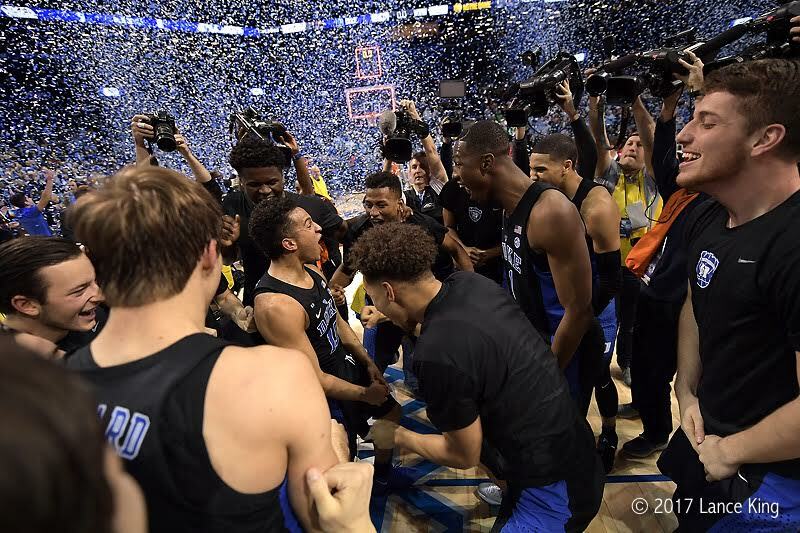 When Duke needed a mid game lift to defeat Wisconsin, Allen came to the rescue which helped his Duke team win the schools fifth national title. A season ago, Allen tried to shoulder a lot of the weight for the team. In a sense that backfired on him as he fell victim to the stress of trying to play out of position and run the point. That combined with some ill-fated decisions made him a college basketball bad boy. When a player plays with his tenacity, emotions can play a role. He was the pre season pick as the National Player of the Year, yet injuries set him back. He was viciously attacked by media and opposing fans alike in a way that has never been seen. While some of the criticism was warranted, it would end up going too far. But that was a season ago. According to those close to the program, Allen is now rejuvenated. He will play a role on this team similar to that of Quinn Cook who helped a bunch of freshman win the Blue Devils last title. According to those close to the situation, Allen had an ankle injury which hampered him all of last season. He could not do the things we have become accustomed to seeing him do. His lift was gone and that is a big part of his aggressive nature as a player. Allen certainly helped the media crown him the bad boy of hoops, but those who have known him over the years saw how that took a toll. The truth of the matter is that as far back as high school, Allen loved playing the game with anyone. He was more than accepted when competing in dunk contests and his Duke teammates coming into this season seem in great spirits with him being their leader. In a sense, it is good that Allen returned to Duke. This team needs a player who has been in the trenches and one who owns a national championship ring. Allen has been seen making loose videos with his teammates in the off-season and he is enjoying himself again. Duke will use Allen as their shooting guard this season. He will team with newcomer point guard Trevon Duval to make up the teams starting backcourt. The key for Allen will be to allow others around him to be good as well and support their growth. We should see a return to his natural game this season. 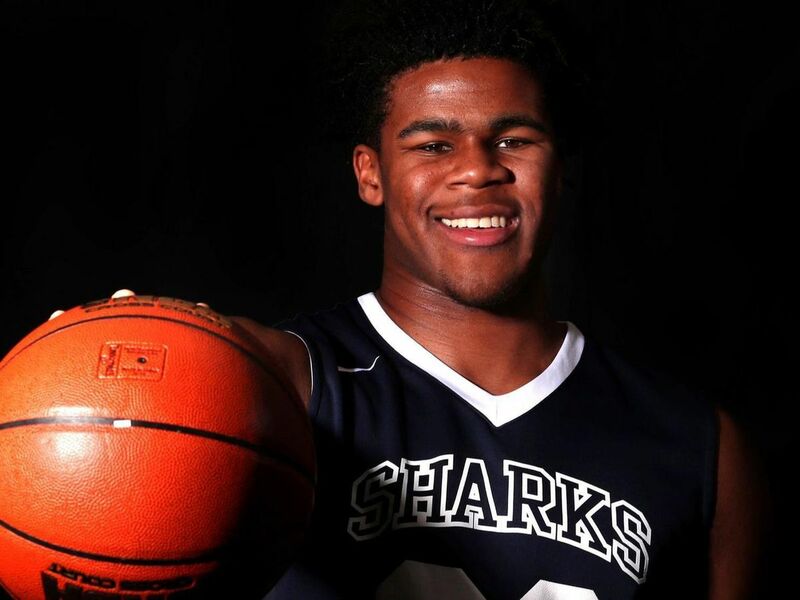 He will slash down the lane for dunks, knock down the three and hustle after balls the coaches might not want him to. That is Allen's game. But the key for him to have a great year is to remain healthy and grounded, He is still one of the best college basketball players in the country and a very good guy off the court. Bolden started the season as a starter a year ago before an injury. Marques Bolden (So. 6-11, 250 lbs. C, Houston, TX) - Many may not remember that Marques Bolden was tearing it up in the pre season a year ago. A sudden foot injury would set the former DeSoto player back where he never regained his original stride. 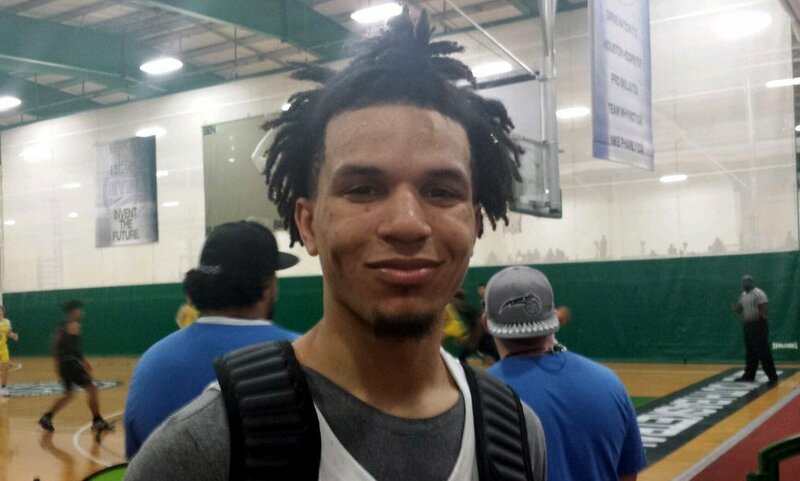 Bolden would go through another experience this summer where he was an early cut on Team USA. Sources say that worked as motivation for the big man and that he came back to Duke and decided to make it his mission to improve. Before returning to Duke to train for what would be a canceled trip in the Dominican Republic, Bolden returned home to work out. There is reshaped his body, That led one Duke assistant coach to say, he was perhaps the teams best player in the few practices they got in. I will go ahead and tell you that Duke will go big often this season. That comes from people in the know. And Bolden will be a big part of the plan. He will be asked to anchor the middle to allow his teammates to float in and out in the front court. When Bolden is motivated, he is a force to be reckoned with. His mental and physical motor is the key for him having a great season for the Blue Devils. Look for Bolden to play faster and with more certainty. Marvin Bagley is the nations top recruit even after moving up a class. Marvin Bagley III, (Fr, 6-11. 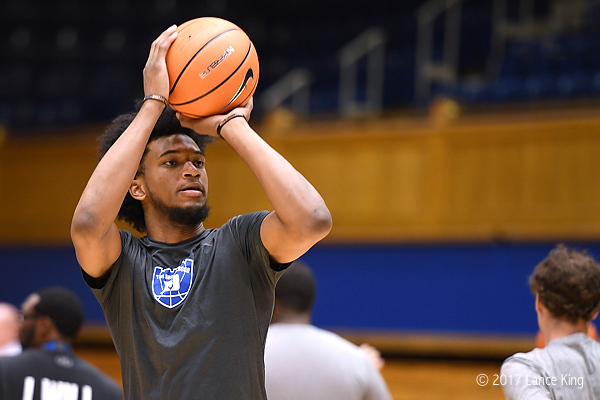 230 lbs, F. Phoenix, AZ) - One of the last players to come aboard for Duke this season was Marvin Bagley III. He reclassified and shocked many by picking Duke shortly thereafter. But the plan for Bagley was shared by the staff and in the end, he realized, Duke was the best fit. Bagley has impressed everyone in practice per sources. He is fitting right in at Duke and enjoying himself and his teammates, This young man is a phenomenal talent who is versatile and driven. He is the kind of young man who never curses and has a focus on the court which cannot be taught. Duke will allow Bagley to do his thing. What that means is he will be allowed to float out for the three-point shot and go inside where he can be dominant. 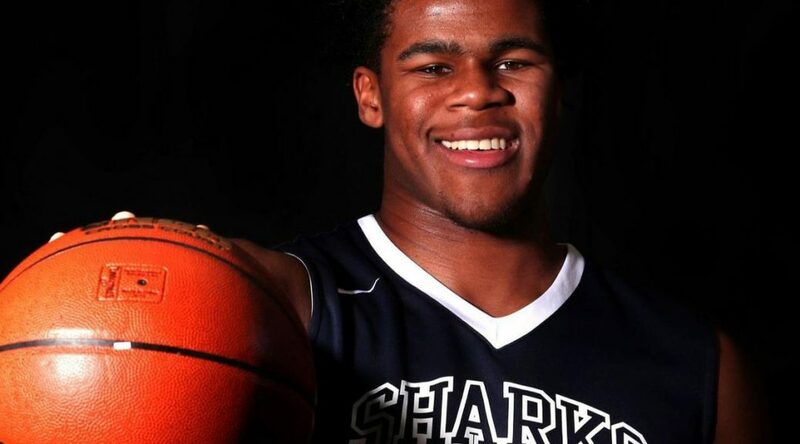 He is a good rim protector and shot blocker who makes put back buckets seem easy. Powerful is a word used to describe him and it fits. He can dominate a game but still must adjust to the stronger players he will face. In high school teams could double team him and play junk defenses. If they do that in college, other Duke players will eat defenses alive. Bagley is a good team player that will be challenged in multiple ways by the staff. He is expected to be one of the top three players drafted in the next NBA Draft. He will enjoy a long basketball career and could be one of the best to ever play in the royal blue and white. 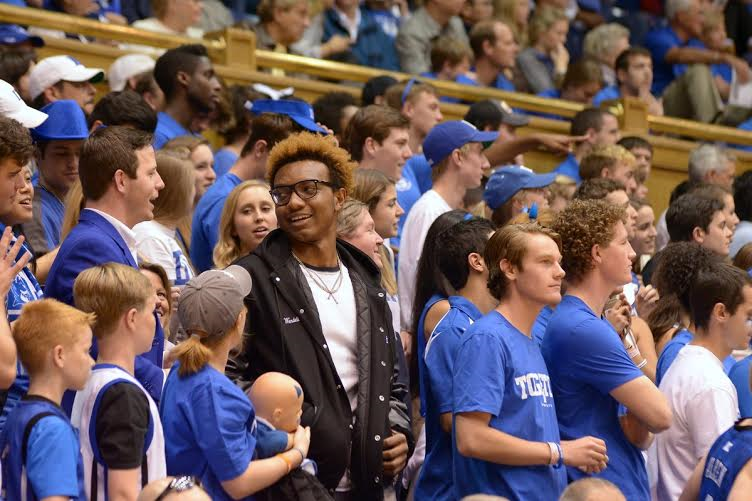 Wendell Carter will now be playing in front of the Cameron Crazies. His length and game will make them cheer. Wendell Carter Jr. (PF, 6-10, 260, Atlanta, GA) - It is likely frightening to opposing coaches when thinking how they will deal with Wendell Carter Jr. He is long, strong and determined on the basketball court. I list him as a power forward but he has worked on expanding his game to the outside as well and can also man the center spot. Carter trimmed down in the off-season which will make for a quicker player -- not that he was slow to begin with. He will be part of what will make up a beastly front line at Duke and should flourish in that no one player can be left alone in the starting line up. According to the staff, Carter always wants to get better. He asks questions and is attentive. The young man was one of the more dominant players on the Nike EYBL circuit and he always liked the Blue Devils. 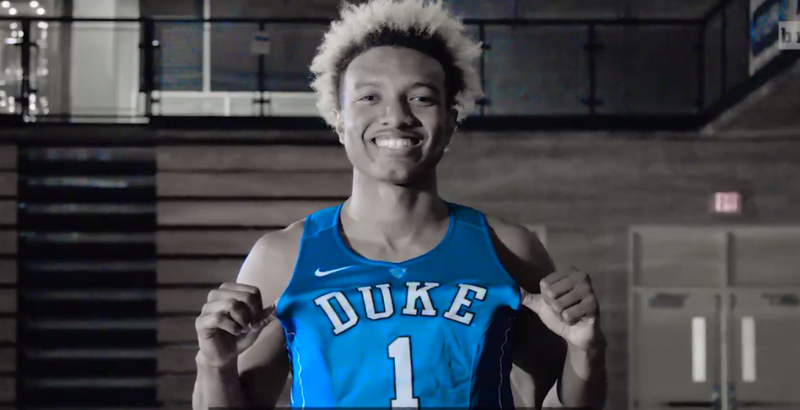 Carter already has connection with other Duke freshman and that bond should enable him to be a solid contributor from day one. When playing alongside Bagley, the two will at times seem like bookends. Carter is a hustler whose long arms should disrupt the passing lanes. Gary Trent Jr. is a strong PG that will be the leader of this years talented freshman class. 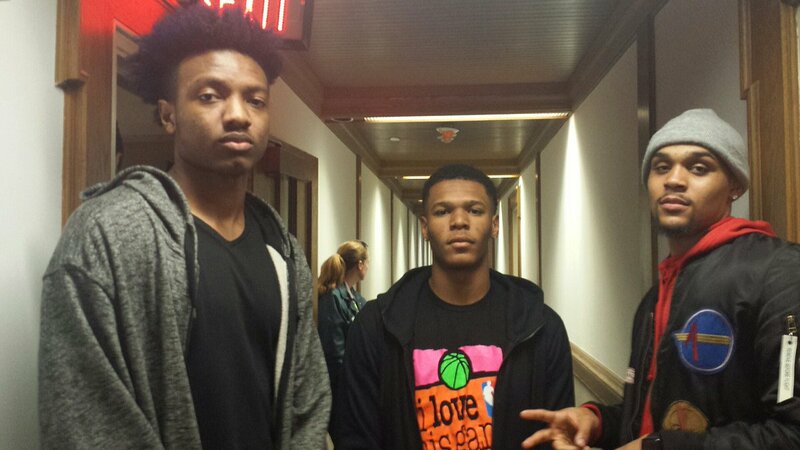 Trevon Duval (Fr, 6-3, 185 lbs, PG, New Castle, DE) - The scary thing about Trvon Duval is that despite his immense talent, he is still developing. Duval is known for taking the ball down the lane and flushing it in a way that point guards usually cannot do. Duval is a physically mature player for a freshman who relies on his strength to create difficult match ups on both ends of the court. He gives Duke a true point guard this season and he will have crazy talented teammates to dish the ball to. The Blue Devils front court will allow for Duval to get out in the passing lanes where he will take advantage of his 6-9 wing span. He has the potential to be a dynamic defensive player with work. Duval is still working on a more consistent outside shot, but he makes up for that by finding holes in defenses. He is a player who finishes well in contact and will likely get to the free throw stripe a lot via that skill. In short, Duval has the keys to run a talented bunch. Gary Trent is a hard working scoring guard. 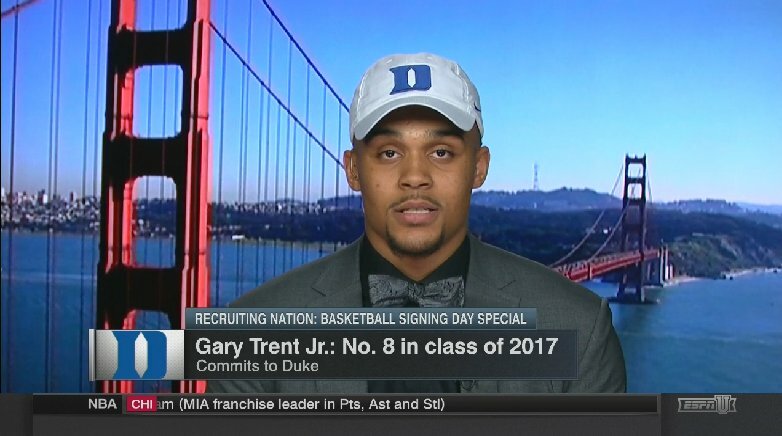 Gary Trent Jr. (Fr. 6-6, 205, SG, Columbus, OH) - You may have noticed that I have listed six players under the starters. Well, Duke will use two main line ups this season due to match ups. One will go big and one a tad smaller with Trent. When you look for a hard-working young man with an ability to score points quickly, you might think of Gary Trent Jr. The staff knows Trent can provide instant offense, so a sixth man role would fit. However, he may be too good to keep out of the line up. I have seen firsthand how hard Trent works when not playing while covering him on the Nike EYBL circuit. He is a driven young man who played alongside future Blue Devil Tre Jones. He is the perfect shooting guard type who can score in many ways. The key for Trent will be to become a better defender. If he does that, he completes his game. He is already physically ready to play at the college level. He remains cool and focussed on the court. Javin DeLaurier (So, 6-10, 230 lbs, F Shipman., VA) - The Duke staff feels DeLaurier can guard multiple positions and potentially be the teams best defender. That is saying a lot, but many feel the second year player will make a big jump this season. When you have a top end motor are long and athletic, the staff will work you into the rotation. I feel he will be the seventh man on this seasons team after hard off-season work and a great attitude. 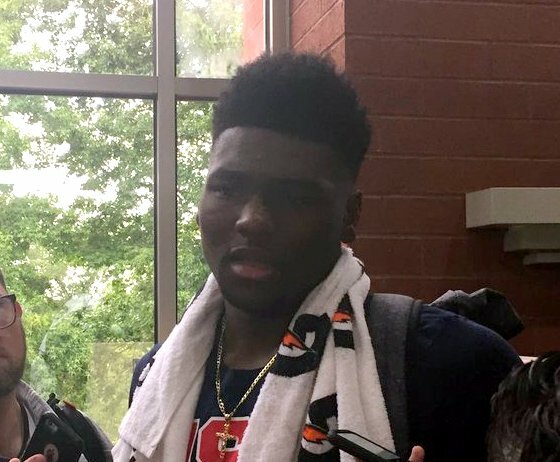 Look for him to guard wing players this season despite his height. He needs to improve his shooting, but should see action. At some point, Duke will need more bodies to play. Early season games will give players a chance to define and prove their game. Antonio Vrankovic (Jr, 7-0, 270 lbs. C Del Ray Beach, FL) - Vrankovic will help teach this team the Duke way. How nice is it to have a player who has had on court success at Duke on the bench? The big mans patience will lead to a role on this team this season and next. He has played well under the tutelage of Nat James and Jeff Capel and is capable of filling a role. 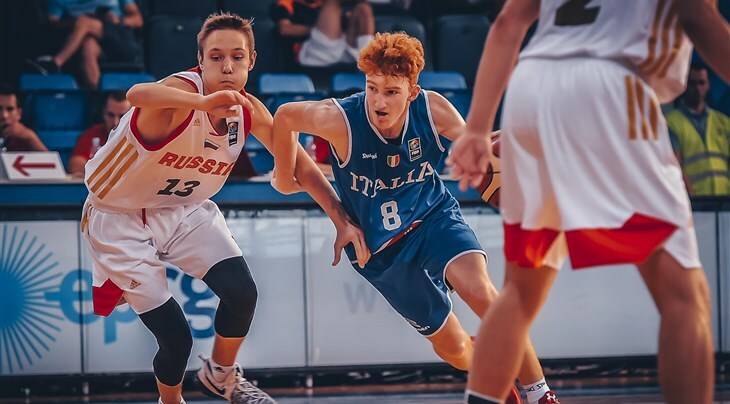 Jack White (So, 6-7, 225 lbs, F Taralgon, AS)- With a solid and improved physical presence from off-season work, White is a wing who could benefit from Duke needing a player at his position to play some minutes. Jordan Tucker (Fr 6-6, 210 lbs, SF White Plains, NY) - Tucker can shoot, but will need to work on defense and knowing the system. Like White, he will compete for playing time at the wing where Duke is less deep than in the past. Alex O'Connell (Fr, 6-6, 168 lbs, SF, Roswell, GA) - His Dad played for Duke under Bucky Waters. The staff feels he can be a solid player for Duke but must put on more weight which could mean his time will come in the future. Justin Robinson (So, 6-9, 195 lbs, San Antonio, TX) - The son of David Robinson was awarded a scholarship this past summer. He will once again provide practice depth. Mike Buckmire (Fr, 6-2, 170, PG, Blue Bell, PA) - The last addition to the Duke roster also bolsters team practices where the team was depth shy at the guard spot. He put up some good high school numbers. Brennan Bresser (Jr. 6-5, 190 lbs SG, Chicago, IL) - The Crazies love their hard-working walk on's and will chant for Bresser to see some late game action this season. 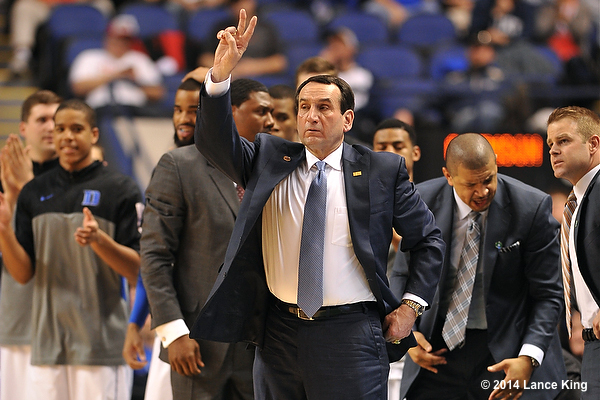 Mike Krzyzewski returns to lead Duke in hopes of a sixth national title. Mike Krzyzewski - After graduating from Army in 1969, Krzyzewski would later coach the Cadets. Duke Basketball was searching for a new coach after Bill Foster left for South Carolina. Krzyzewski came highly recommended by his mentor and then Indiana coach, Bobby Knight. The story goes that then athletic director Tom Butters sent former Vic Bubas era player, Steve Vacendak, to the airport to stop the man who would in time be known as Coach K from leaving. The job was his and the rest is history. Duke has been blessed to have Krzyzewski in Durham and he is a living legend still doing what he loves to do best. The Chicago native has now won 1071 college basketball games and garnered every honor that can be bestowed on a coach. He has five national championships. His wins are the most in college basketball history. Krzyzewski has led Team USA to six gold medals as the men's basketball coach. He took over the program when it had floundered and righted the ship. Krzyzewski has also won the most regular season ACC championships in conference history as well as the most tournament wins. He has the most wins in NCAA Tournament history which currently stands at 91. His 23 NBA Draft lottery picks are the most in history as well and the list goes on. The long time Duke coach will enter his 43rd season as a head basketball coach. He will hit another milestone early in the season when he wins his 1000th game at Duke University. He currently sits at 998 wins. The record will almost certainly be broken against Utah Valley State on November 11th. Capel is not your normal assistant coach. Jeff Capel - Capel is not your typical second man in charge. He has been a head coach at Virginia Commonwealth and Oklahoma. He is 175-110 as a head coach. In the past few seasons, Capel has also had success when Mike Krzyzewski was out due to health reasons. A graduate of the Class of 1997, Capel has seen the inner workings of Duke Basketball from both a player and coach standpoint. In fact, all of the Duke assistants have this going for them. Many think that Capel will one day be handed the reigns to the program in Durham. Perhaps no assistant in the country has the respect Capel does as Krzzyewski's right hand man. James coming off the court after a semi final win at the Final Four in Indy. 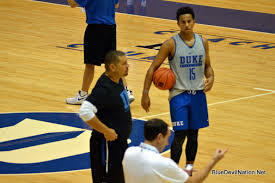 Nate James - As the eldest assistant, Nate James has been coaching at Duke for 11 seasons. James has played a role in national championships as a player and coach. He once went to Mike Krzysewski's house after the 1999-2000 season with Chris Carrawell and Shane Battier to reassure head man that they would be just fine. The reason is that Elton Brand, William Avery and Corey Maggette had all turned pro. 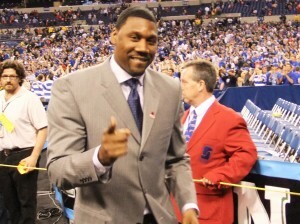 James would later become a veteran leader on the 2001 National Championship team. James also won the three-point shooting contest in the McDonald's All American game. 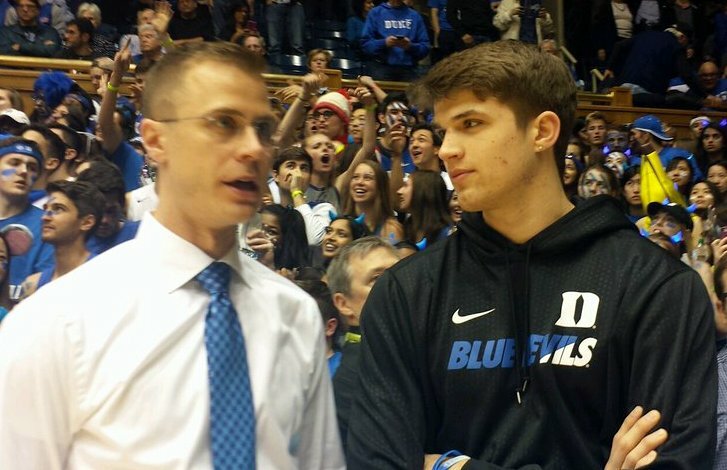 Blue Devil Nation has covered Jon Scheyer since his playing days at Duke. 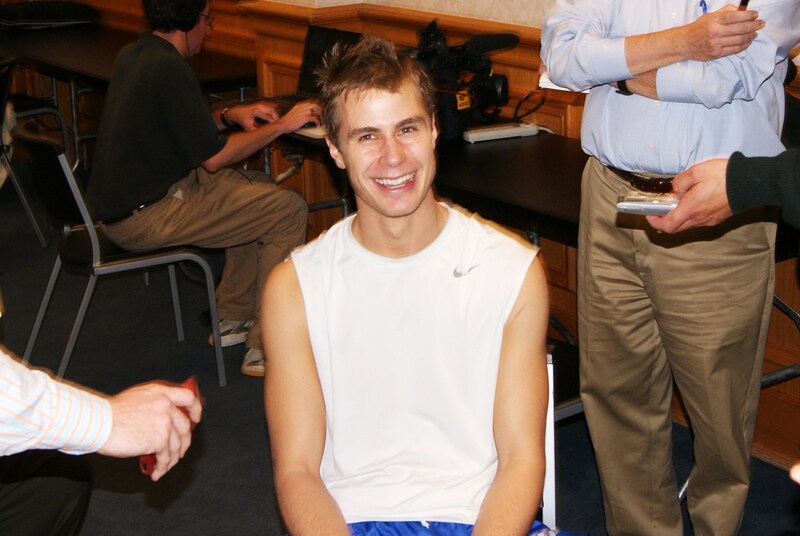 Jon Scheyer - An unfortunate eye injury cut short Jon Scheyer's career as a player, but not in basketball. Scheyer seems to be a natural at coaching. He brings to Duke the knowledge of a player who won a national title recently or in 2010. His youth and maturity helps him to communicate with players. Scheyer was also a decorated player who took on the challenge of running the point guard spot. Duke would go on to win the title game over Butler. "Get out of the way, I'm rollin!" Rick Crank for BDN in the 2010 ACC Championship Game. 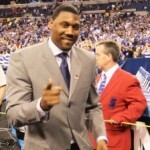 Nolan Smith - Well, Nolan just has that personality which makes one smile. Always positive, Smith, like Scheyer, saw his career cut short due to injuries. Smith has been yet another key addition to the Duke program in the role of special assistant. That title means he is an assistant coach in waiting. The D.C. native played a key role on the 2010 National Championship team and enjoyed a solid career at Duke. 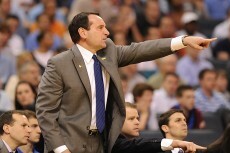 Overview - Mike Krzyzewski has put together many great Duke staffs over the years. But the current one is likely the best. The Blue Devils feature a tangible strength in that this bunch has been together for a good while. That shows in their chemistry where they work on the court or the recruiting trail with a defined plan. Duke will not hesitate to go big this season. I jokingly asked one assistant where would the rebounds come from? 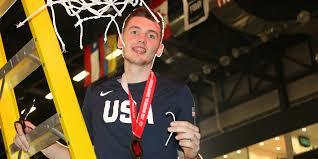 He laughed for the Blue Devils have perhaps their best front court talent in the teams illustrious history. Duke should be close to the top of rebounding stats in the nation. 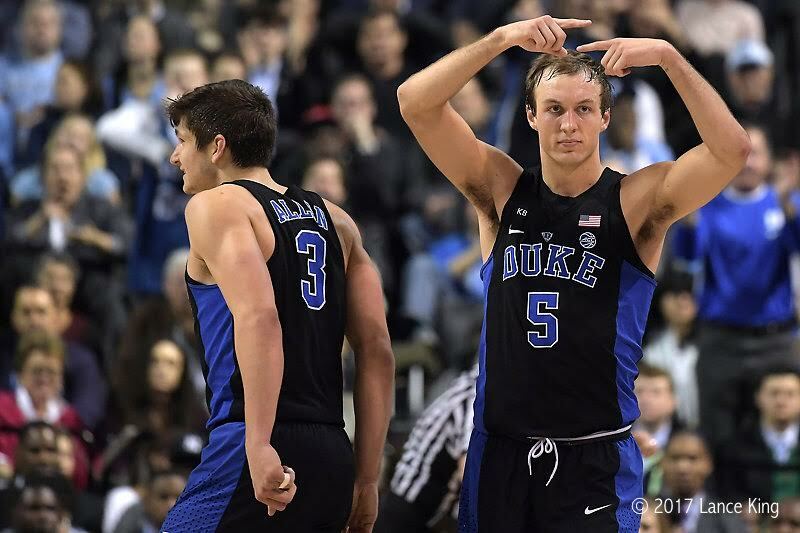 Expect the Blue Devils to use two main starting line ups and most know that the sixth man at Duke is like a starter. I see a seven man rotation at crunch time but the staff will seek to develop other players in case of injuries. Look for Duke to experiment a lot early in the season before settling in on a true strategy. The team may have actually benefitted from not taking the trip to the Dominican Republic in that they were still able to work on campus and get closer. Duke may allow for Allen, Duval and Trent to be active with pressing and passing lanes, The reason is they have rim protectors like never before. A more known or expected rotation should allow for quick team chemistry, but chemistry will as always be the key to success. This team will get to the free throw stripe a lot and will need to work on this in practice. With so many bigs, they are likely to see a lot of fouls. Duke may not be as strong as they have in the past beyond the three-point stripe. Grayson Allen and Gary Trent Jr. will be depended on the most and they will allow Bagley freedom from there as well. It will be imperative for Duval to make teams come out on him to loosen up the many zone defenses they will face. Having their staff together for a long time should help. Mike Krzyzewski is expected to be healthy and ready as practice begins today. I feel they have a chip on their shoulder and want to see an injury free season and nothing less than a national title. Duke will almost certainly be picked to win the ACC, but the conference will be tough as always. As we all know, there is news which could change the landscape rocking the sport right now. This is a super talented bunch of young men. But they are indeed young men, Thankfully, they are better prepared than ever coming into college to play big roles. Duke recruited some of the best players at their position and Krzyzewski always comes back strong when his teams have gone out earlier than expected the season before. There are many good teams in the land which can beat Duke on a given day. They are not so good as to go through the season without some adversity. They are however, as good as anyone and better than most talent wise. I think the staff will bring this team together quickly and establish roles early on. This team should have fun playing the game while learning and have a veteran leader in Grayson Allen to turn to for his experience. Go ahead and mark your calendars for Saturday, September 11th. For that will be the day Mike Krzyzewski wins his 1000th game at Duke. But he could care less about that and simply wants this team to live up to its potential. If Duke stays healthy, they can do great things this season. If that happens they should make it to San Antonio for the Final Four where they have a chance to win the schools sixth national title. Who better to lead you into March than Coach K? Is there anybody you would choose to lead your team onto the battlefield of March Madness other than Coach Mike Krzyzewski? During today's press conference, Krzyzewski was relaxed and focused on the job at hand, stating, "I don't look at the brackets or look ahead. Our focus is on Lehigh, they're a good team." He then stated to any possible disbelievers that it was true and that he doesn't lie and while some from afar still might think, he has taken a look past Greensboro, I can assure you that he hasn't. It does no good to worry about anything past Lehigh and scout Notre Dame and Xavier for there is simply too much you cannot control. Krzyzewski holds the highest NCAA winning percentage with a 96-31 record which translates into a .756%, so if he chooses to focus on one game at a time, then so be it for it has worked for him in the past. A further testament to his prowess is the fact Duke has been a #1 or #2 seed in the tournament 14 of the past 16 years and who can find any fault in that? With 927 wins, the most of any coach ever to be at the helm in college basketball it can sometimes be overlooked by fans just how lucky they are. Krzyzewski is a living legend and that is sometimes hard to realize amongst an increasingly spoiled fan base. In 2010, he guided his team to the National Championship when nobody gave them a chance. Duke was called to unathletic and a team without a true point guard but they managed to find ways of using their teams strengths and brough hime his 4th national championship. And that is why I feel confident that Coach Krzyzewski will tweak this team a bit more, one which is certainly battle tested and good, but a team with a smaller margin for error than some of his past teams. It's not easy adjusting to injuries in the middle of the season and I am of course referring to Ryan Kelly who missed the ACC Tournament and possibly the game this Friday. 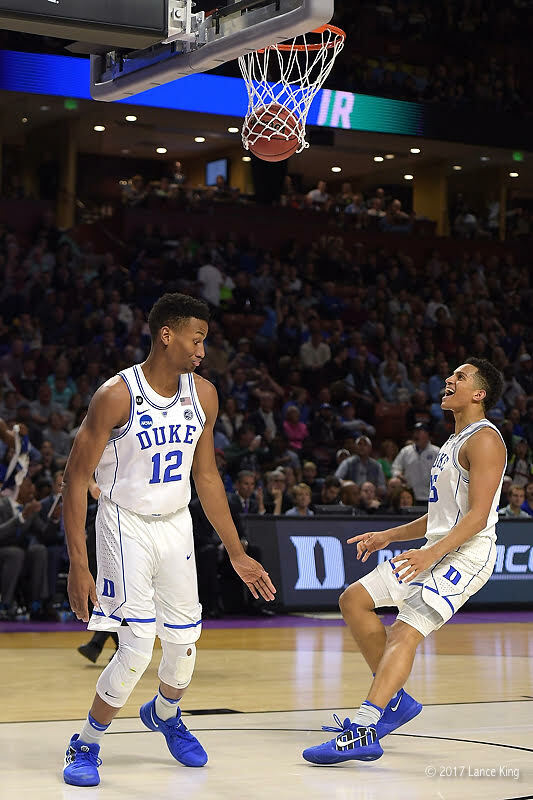 While the Duke defense picked it up recently, the offense struggled and the man in charge recognized that and said that his team would get back to what they were doing earlier in the season. 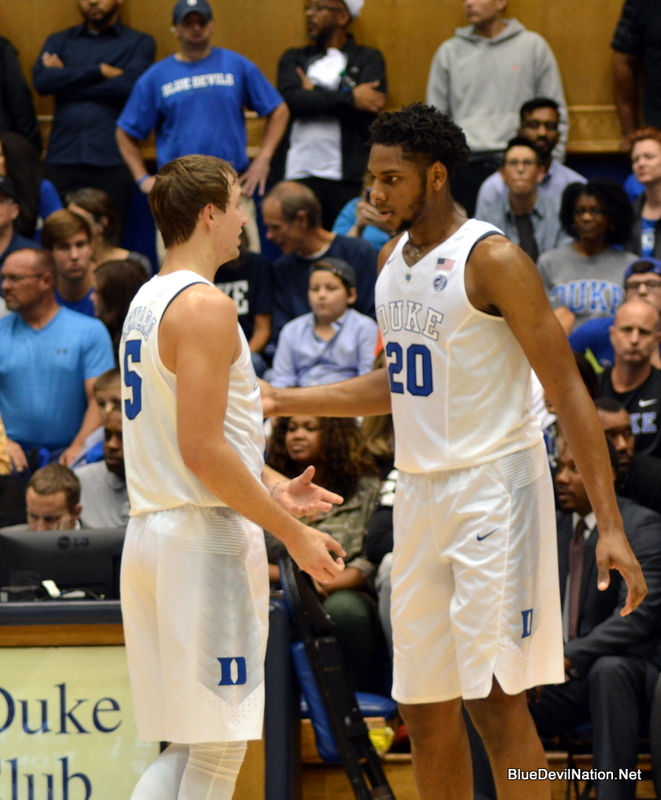 Adjustments have been a huge part of the Duke program, one which takes every teams best shot. 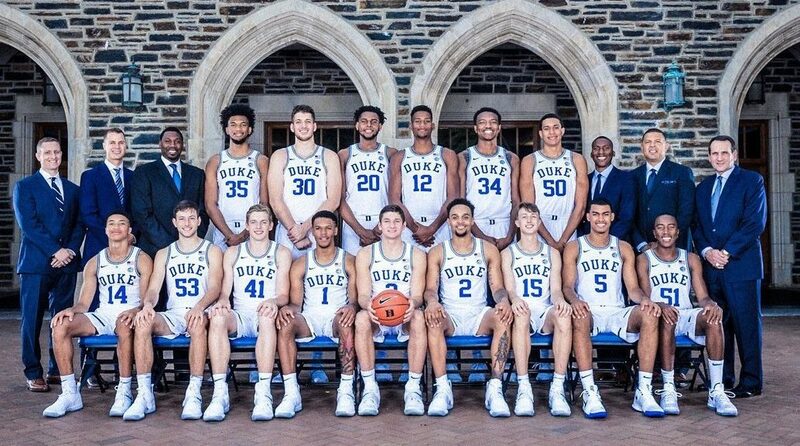 Krzyzewski has been a master at taking his talent and molding them into a team and I am of the opinion that this years edition has been one of his best coaching jobs in Durham. 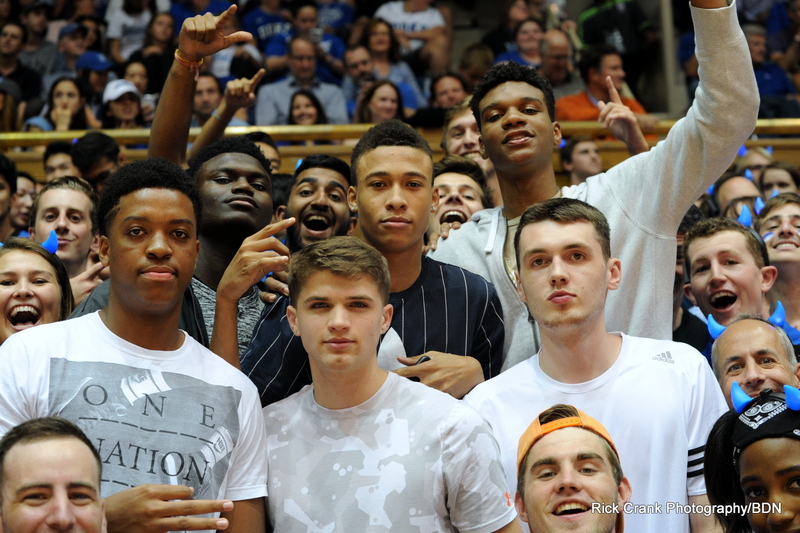 This years team doesn't have the upperclassmen leadership as some of the recent Duke teams. but who is betting against him pushing the right buttons to get the most out of what he's got? The Blue Devils are in practice right now and Coach Krzyzewski is planning his teams way. You can bet that he will try to push each players buttons to get the most out of them, be they in a slump or just hitting a wall. 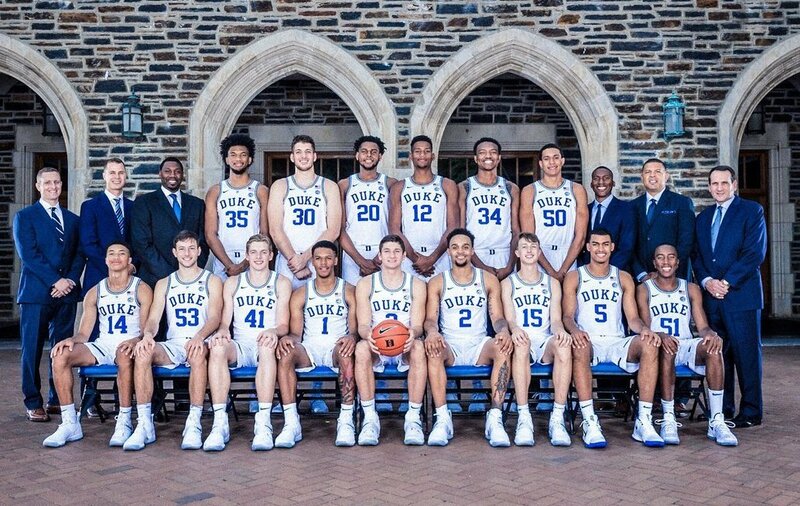 Counting the Blue Devils out in March is simply something that should never be done under the man known as Coach K for he has a knack at getting the most out of all his teams. Duke needs three wins for a fourth straight 30 win season, but the 28th win is all Krzyewski has on his mind at this time. While March Madness is tense as it can be where teams are one and done with a loss, Duke fans should feel good about having Krzyzewski on their side. History shows us that Krzyzewski is the winningest coach in the NCAA Tournament and that is something no other school in all the brackets can claim.